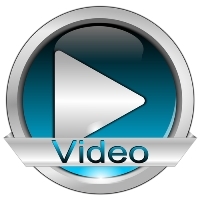 You must use Video for blogging and business success. Let me be blunt. I think its madness – complete madness – to NOT include online video when you try to make your mark online. But yet…some folks don’t. So before I get into reasons why you should be using online video in your social media efforts – I want to address one big reason many of you aren’t doing so. You are waiting until you can “do it right”. You don’t want to look “unprofessional”. I get that. I’d never want you to post something shaky, stupid or pointless on your site. But you do NOT need to wait until you can afford the time and money to create an Oscar-winning piece, either. Better to get going and post 13 videos featuring fantastic content in an “okay” package then to wait and post one expensive, sizzling package with just “okay” content. Okay – I’m hopping off my production skills soapbox and over to my reasons-why soapbox. It pulls them in to your cart…and keeps them there. Maybe it’s the emotional connection. No one knows exactly why, but videos can lower the number of abandoned shopping carts, reduced return rates and higher sales. So post online videos on your ecomm site and then share them via social media. It does the work for them.Â The same way that people are more likely to get sucked into TV vs. a book, more people will get ‘sucked in’ to your sales message through video than just plain copy. It kind of does all the thinking for them. By not making them read, you can feed your sales message directly to their brain. It makes them smarter about you. If you prime a lead with a strong, personable video, you’re much more likely to turn them into a paying customer. By the time they get to your shopping cart, they’ll already know what you look and sound like (if you do an on-camera cameo) or they’ll at least have a better sense of your style and personality, even if you’re not on camera. And as they say, the better qualified a lead; the more likely you are going to close them into a sale. It’s got reach. Broken record alert! Broken record alert! I say this a lot on this blog, but yet I still hear this one objection, so I’m saying it again. It’s not just the teenagers or ‘gamers’ who love online video. According to a nationwide survey conducted by Burst Media, online users between the ages of 35 to 44, and 45 to 54, are just as likely to search and view online video content as online users ages 18-24. It makes you look modern.Â Finally, Â to NOT use video makes your site look dated and boring. That’s not a good thing for buyers to think. Look around at some of the sites you like the most. Aren’t you seeing video more and more on all of those sites? Don’t you think your customers are too? So don’t be the sore thumb in that sea of video (to mix a metaphor, if I may).Â You want to be cutting-edge, contemporary, and confident you can meet the interactive habits of your customers. Any holdouts, still? Are you one of the many bloggers, Twitterers, etc who doesn’t use video on a regular basis? If so – why? What’s holding you back? Please let me know by leaving a comment on this blog. And donâ€™t forget to Like, Tweet, Pin and Google+ this post.